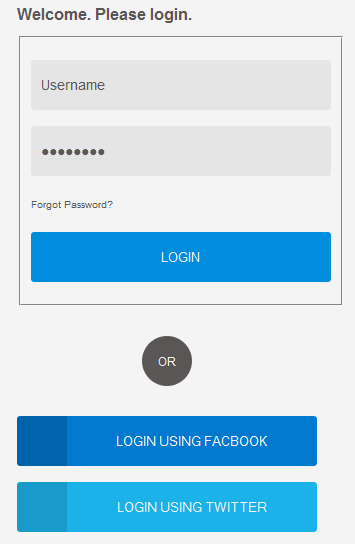 Here I will explain how to create best login page design in html and css with source code or login page design in html and css with source code or simple login form with html and css. In previous articles I explained Change default selection of color using css, jQuery add border to all images using css, jQuery add more or less link to view text, jQuery add play button for youtube thumbnail images and many articles relating to html and css. Now I will explain how to create best login page design in html and css with source code. Thanks man....keep up the good work! can you please post .cs code for this form....!! can u explainn this concept on asp.net with css.? Thk u ......itz very hhelpful. You are the man. I am using it currently. It's awesome!!! This s helpufull to me. Thank you a lot for sharing this design and code. How do you change what the username and password is? How to login the login form using username and password without login button. 1. How do I direct the submit button to my home page (assuming correct login details have been put in? 2. Presumably I need some sort of data base to store the usernames and passwords. what format should the data base be is it and excel file? 3. Where do I store the data base on the server? with my html files? apologies if these are stupid questions but I am a novice at this. I would be grateful of any help.